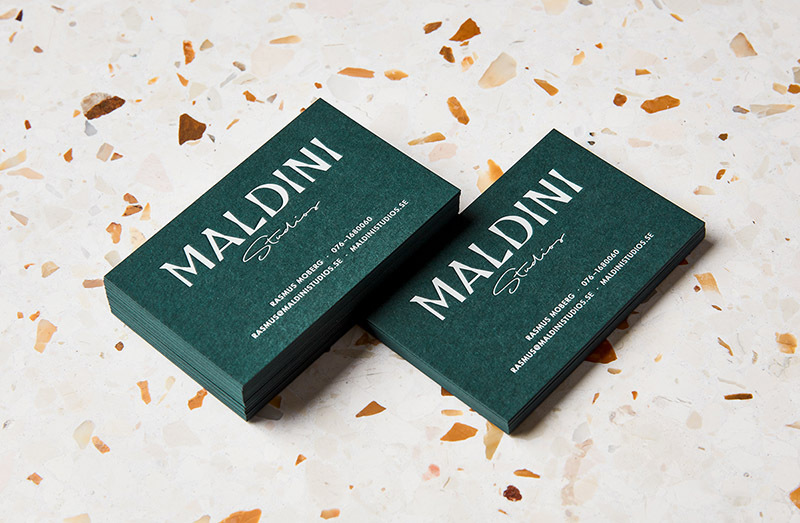 Jens Nilsson designed these business cards for Maldini Studios, a Stockholm based interior design and carpenter firm. The studio consists of project manager and carpenter Rasmus Moberg, interior designer Elina Johansson and carpenter Theo Klyvare. 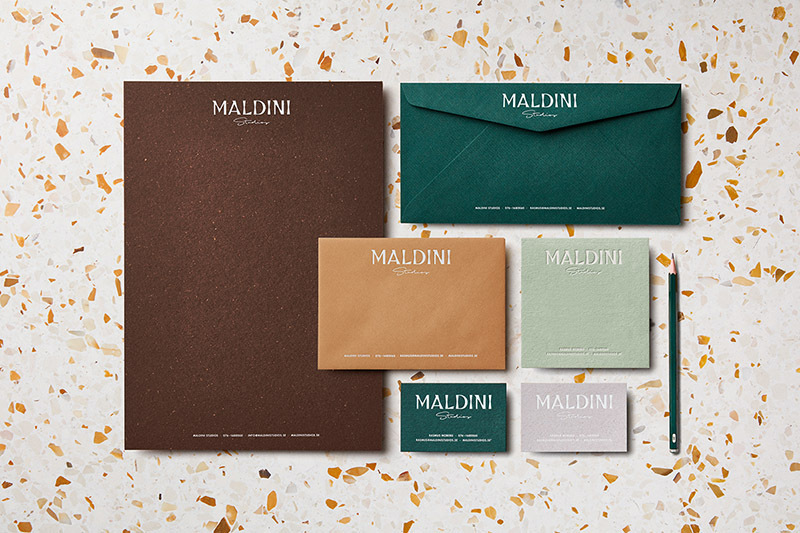 The identity has a high focus on textures and materials with the custom made typeface, Donadoni, as the main component. Neatly arranged at the centre of the card, the typeface is striking enough to make you look twice and at the same time giving the cards a stylish and professional look. 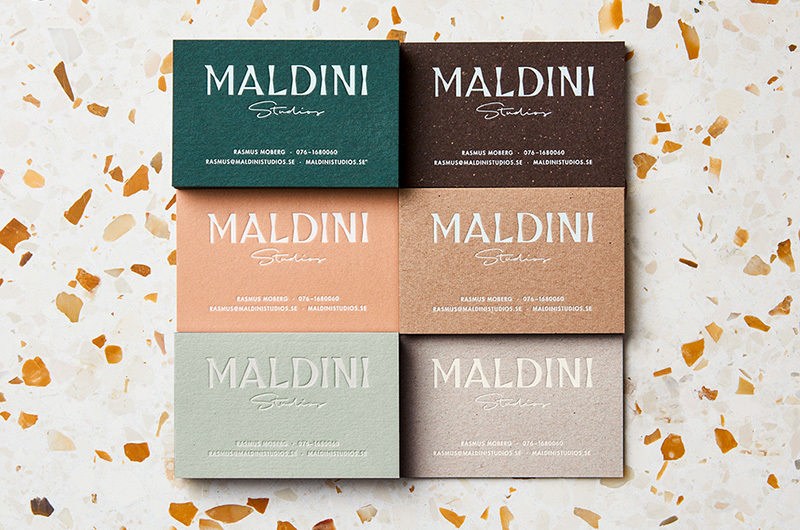 These single-sided business cards were letterpress and hot foil printed on mixed textured papers from GF Smith and Arjowiggins. Overall, a classy and effective design that not to be missed!